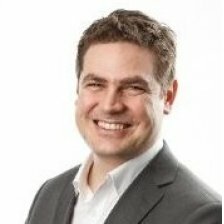 Wilfried Pimenta heads Global Business Development at the IOTA Foundation. He engages with corporations and institutions to explore the potential of the IOTA Tangle, an opensource Distributed Ledger Technology designed for the Internet-of-Things. The protocol acts as the backbone for the Machine to Machine economy and enables radical smart community and smart city development. IOTA also acts as a co-creation and business model innovation hub across all smart industries including mobility, energy, industry 4.0, supply chain or eHealth. Wilfried is based in Oslo, Norway. He holds a MSc from France/Norway and a MBA from INSEAD Business School.